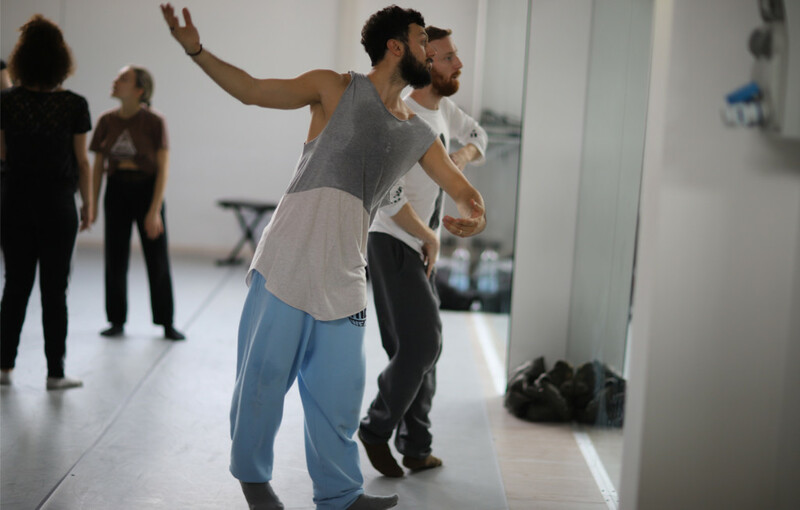 Brigel Gjoka and Riley Watts, both former dancers of The Forsythe Company, practicing for long time together, are face to the practice of entrainment as a form of progressive work, reaching a level of interrogation on how connections, composition, rule breaking and listening can create a dialogue between individuals. 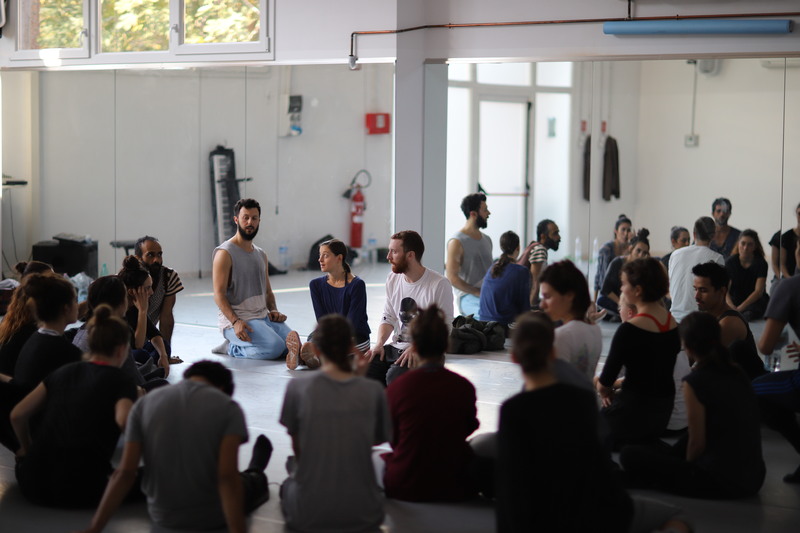 The work will be focused on explaining and exploring how connections can be acquired through entrainment. 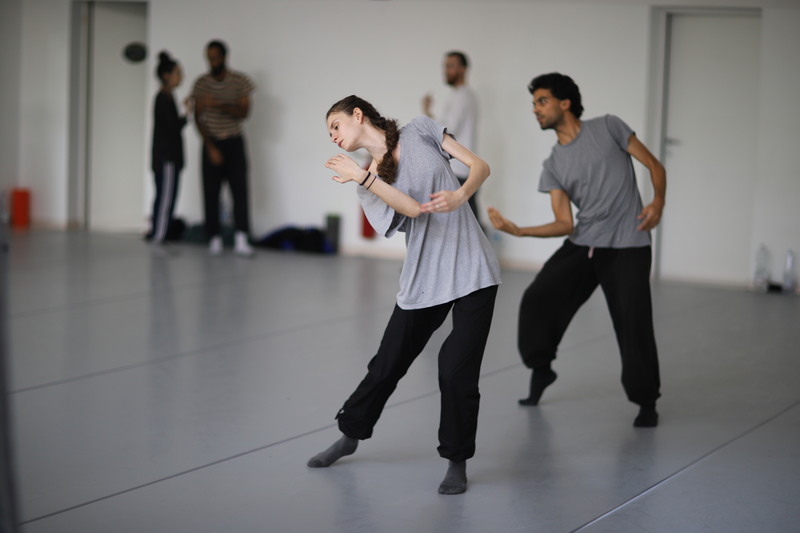 “DUO2015” is the latest work of William Forsythe in which both artist are facing and confronting each other in constant research for new dimensions of being creative. 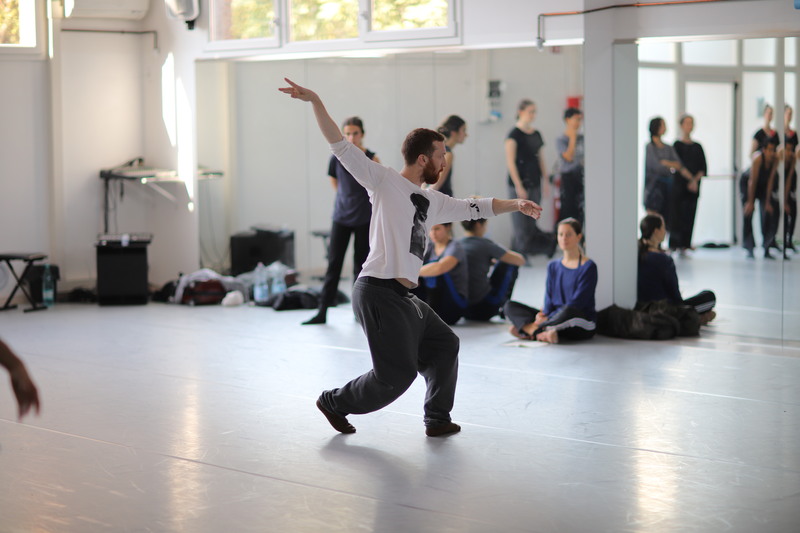 Forsythe has been commissioned to produce architectural and performance installations by architect-artist Daniel Libeskind (Groningen, 1989), ARTANGEL (London,1997), Creative Time (New York, 2005), and the SKD – Staatliche Kunstsammlungen Dresden (2013, 2014). These “Choreographic Objects”, as Forsythe calls his installations, include among others White Bouncy Castle (1997), City of Abstracts (2000), The Fact of Matter (2009), Nowhere and Everywhere at the Same Time No. 2 (2013) and Black Flags (2014). His installation and film works have been presented in numerous museums and exhibitions, including the Whitney Biennial (New York, 1997), Festival d’Avignon (2005, 2011), Louvre Museum (2006), Pinakothek der Moderne in Munich (2006), 21_21 Design Sight in Tokyo (2007), Wexner Center for the Arts, Columbus (2009), Tate Modern (London, 2009), Hayward Gallery, (London 2010), MoMA (New York 2010), ICA Boston (2011), Venice Biennale (2005, 2009, 2012, 2014), MMK – Museum für Moderne Kunst (Frankfurt am Main, 2015) and the 20th Biennale of Sydney, 2016. 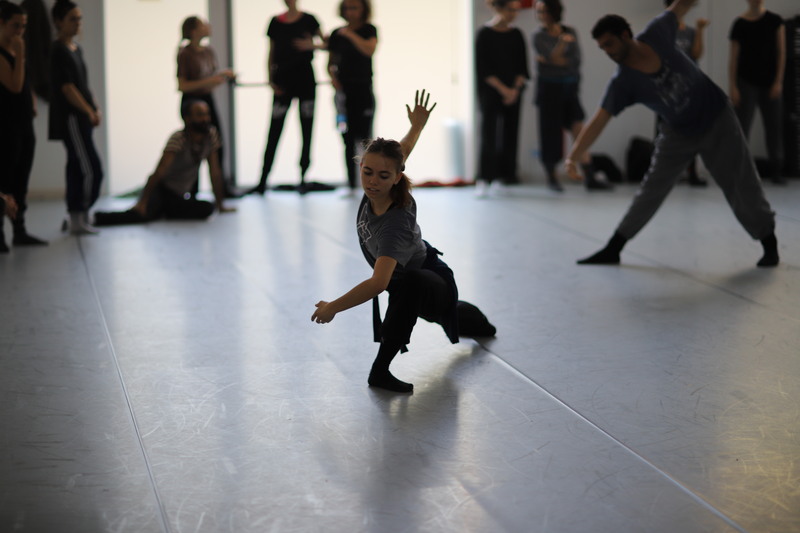 In collaboration with media specialists and educators, Forsythe has developed new approaches to dance documentation, research, and education. His 1994 computer application Improvisation Technologies: A Tool for the Analytical Dance Eye, developed with the ZKM / Zentrum für Kunst und Medientechnologie Karlsruhe, is used as a teaching tool by professional companies, dance conservatories, universities, postgraduate architecture programs, and secondary schools worldwide. 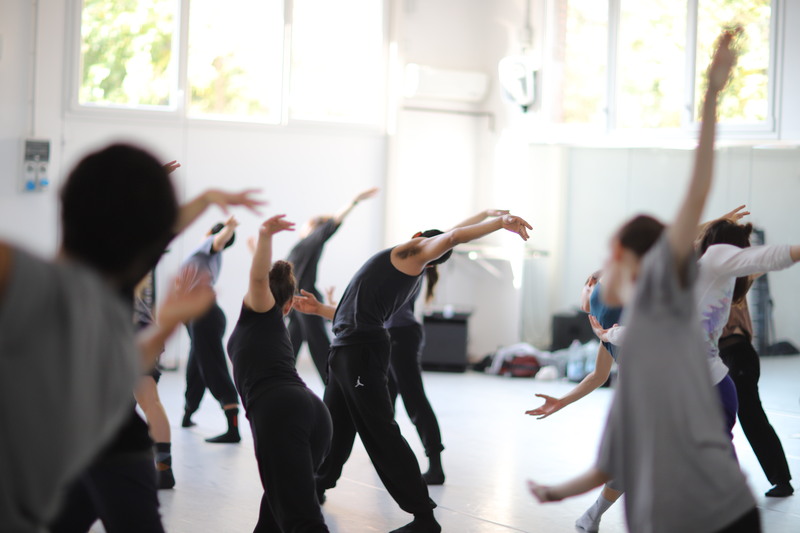 2009 marked the launch of Synchronous Objects for One Flat Thing, reproduced, a digital online score developed with The Ohio State University that reveals the organizational principles of the choreography and demonstrates their possible application within other disciplines. 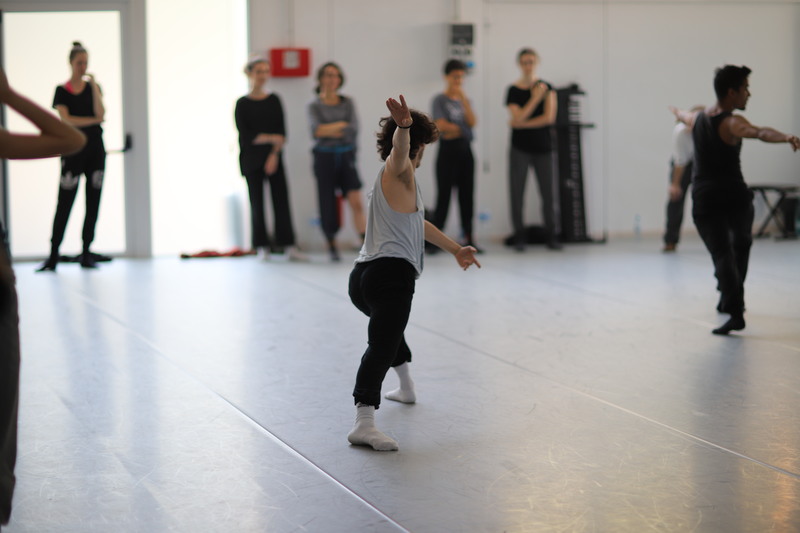 Synchronous Objects was the pilot project for Forsythe’s Motion Bank, a research platform focused on the creation and research of online digital scores in collaboration with guest choreographers.